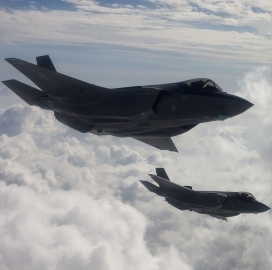 Lockheed Martin (NYSE: LMT) has received a potential $558.3 million contract from the U.S. Navy to provide sustainment services to support the low-rate initial production of lot 11 F-35 Lightning II fighter jets. The Defense Department said Thursday the sustainment support contract includes training facilities and devices, Autonomic Logistics Information System software and hardware and non-aircraft spares for F-35s. The firm-fixed-price contract covers purchases from the Navy, U.S. Air Force, U.S. Marine Corps, non-DoD participants and foreign military sales clients. Work will occur in California, New York, Florida, Texas and the U.K. through February 2023. The Naval Air Systems Command will obligate the contract’s full amount from the services’ aircraft procurement funds for fiscal years 2016 through 2018 as well as from non-DoD and FMS funds.